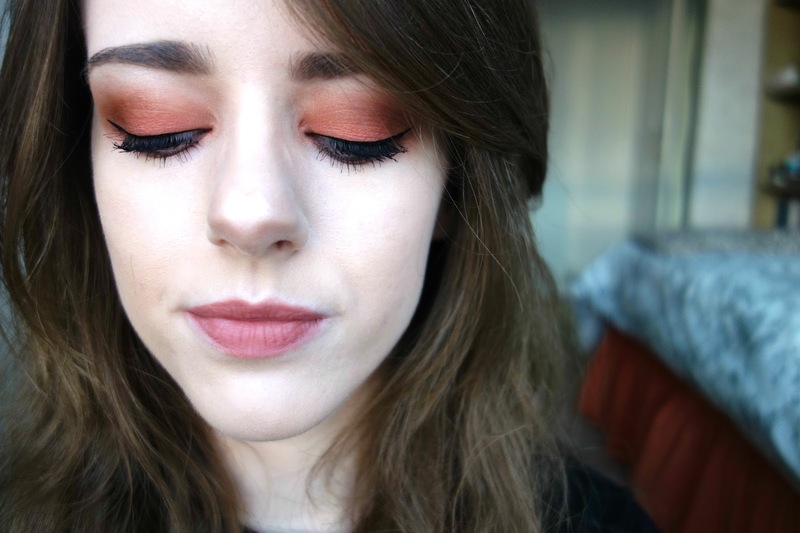 Over the Christmas holidays, I experimented a little bit with my eye makeup and came up with an everyday red eye makeup look featuring a Morphe eyeshadow palette. 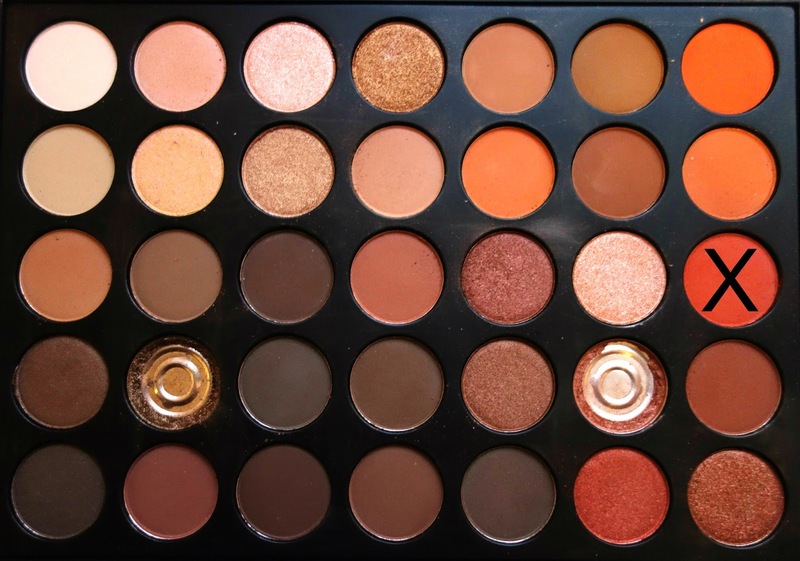 I was looking for a maroon/red eyeshadow palette for a while, and was lusting after Kylie Jenner's eyeshadow palette, but came across Morphe's eyeshadow palettes instead, which are simply INCREDIBLE! This makeup look involves few products, but includes a few new additions to my makeup collection, which I'm excited to share with you in this post. I do not claim to be a makeup artist in any way.. as you can tell by my lack of makeup posts in general.. the last makeup-style posts I wrote were last February where I created a minimal makeup and gold eye and red lip look. It is rare I change up my makeup look, but I thought as red eyeshadow is becoming more common nowadays, I'd document the look I've been wearing lately. 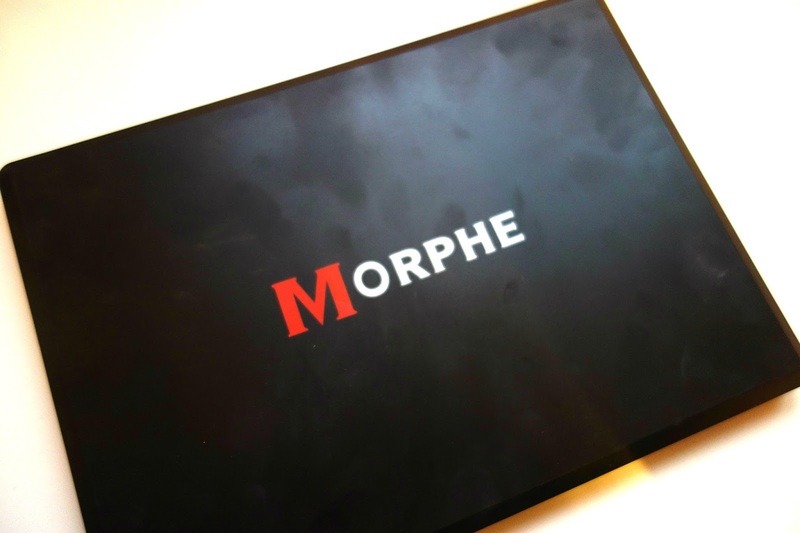 I purchased a Morphe palette dupe on Ebay for £15. Normally, Morphe palettes range around the £20 mark on Cult Beauty, however, I couldn't find a palette that suited me exactly. I wanted a palette that contained matte red shades and also shimmery shades for more intense evening looks, something like a cross between the Morphe 350M and 350S palettes. The quality of the dupe shadows are really great, not up to the standard of the Urban Decay shadows, but definitely a slightly higher standard than high street brands. The only disadvantage I found of ordering palettes online is that they are susceptible to damage. My palette was damaged in the post and two eyeshadows fell out, but I received a full refund for the inconvenience caused. 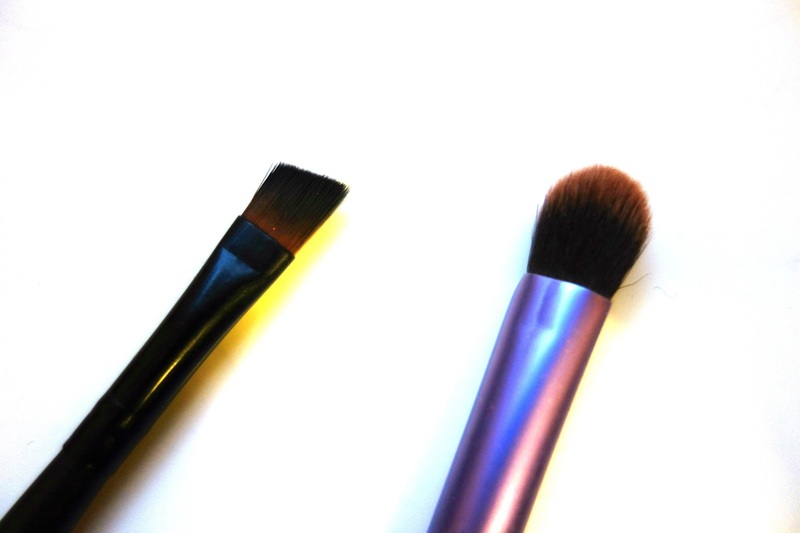 To apply my eyeshadow, I primarily use the Real Techniques domed shadow brush, tapping off the excess colour with a tissue in-between switching colours. To define my eyes a bit more, I'll us an angled Lorac brush to lightly add a black shade underneath my bottom water line. 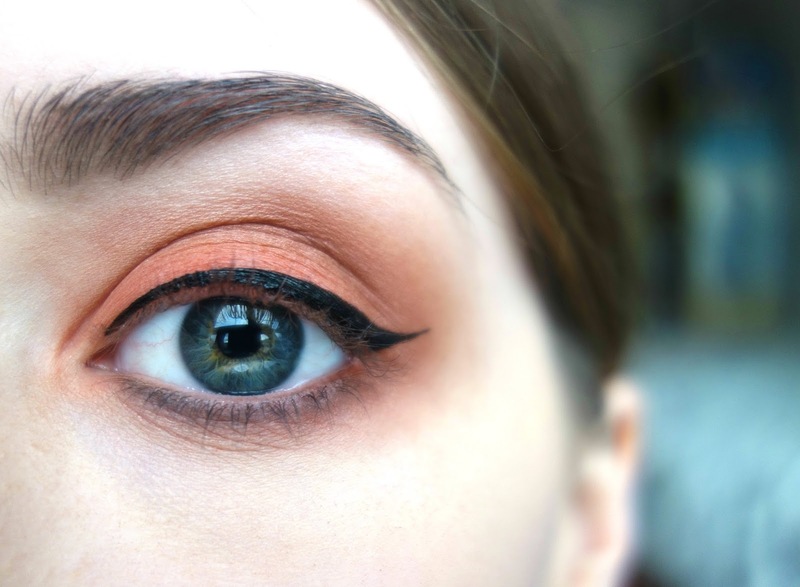 After applying Urban Decay's primer potion to ensure the eyeshadow stayed in place all day, I brushed a light coat of the beige shade in the middle of the palette over both of my eyelids. I found this shade to be the perfect base shade and definitely an eyeshadow I would consider wearing on its own if I wanted to wear minimal makeup to work, for example. Next, I took the red shade in the middle right of the palette and applied it to my eyelids only, making sure not to drag the colour further out. 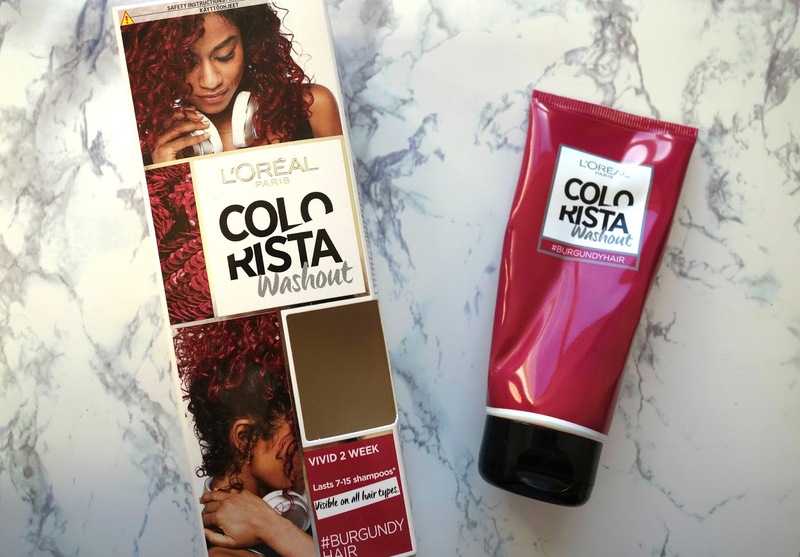 Although it looks red in the palette, it transfers to a more orange shade of red. 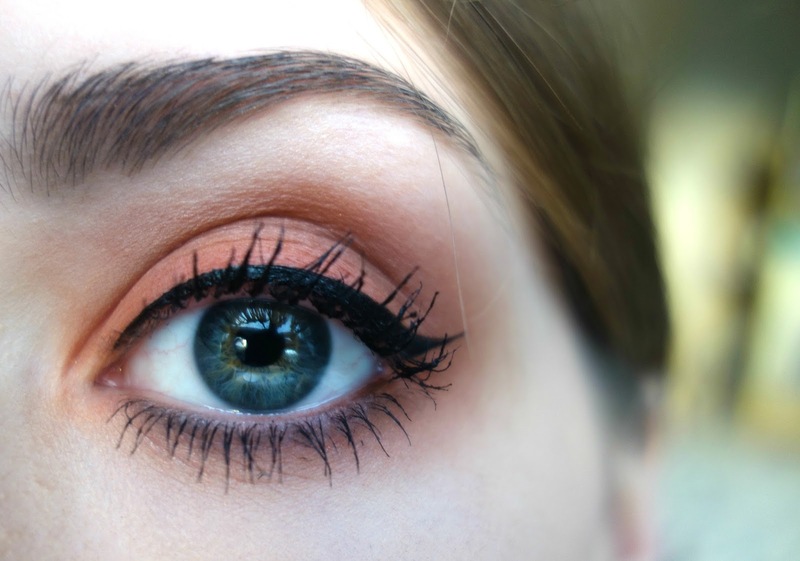 If you wanted a more intense look, applying two or three layers of the colour would be enough to make sure the colour is really vibrant on your eyelids. As I wanted to tone down the colour for a more everyday look, I only applied one dusting of the shade. 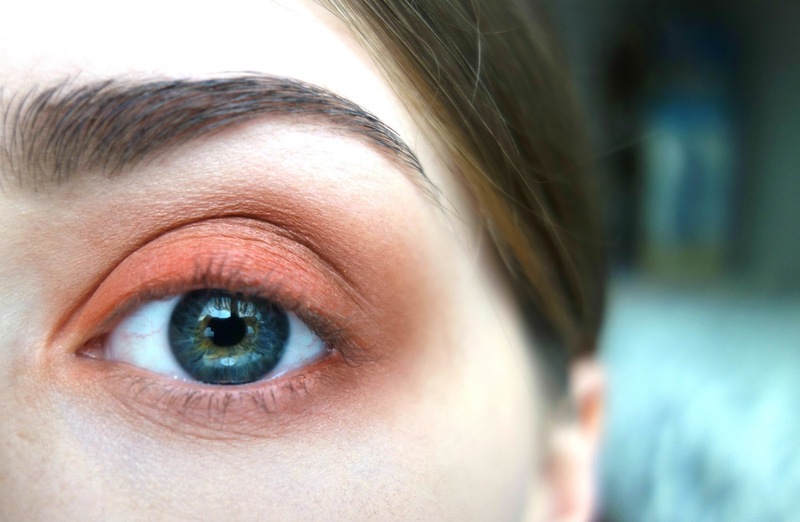 To finish off with the Morphe palette, I took the brown-red shimmery shade in the middle right of the palette and applied this to the outer corner of my eyes, smudging it in to bring all of the colours together. 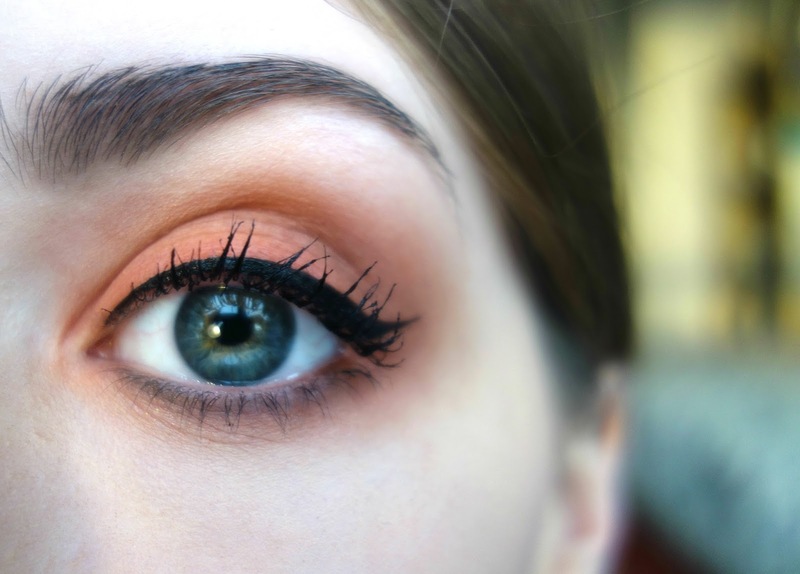 I also brought this colour down to the outer half of my bottom lid to tie the look together. 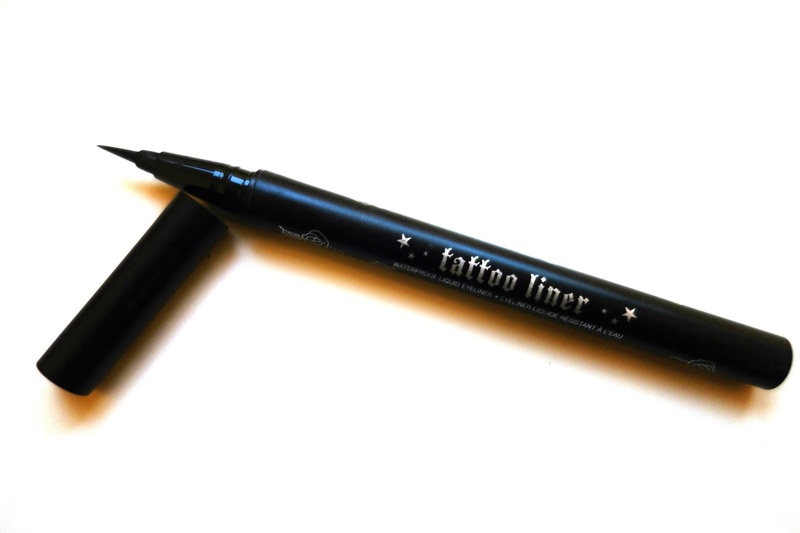 I caved in and bought Kat Von D's Tattoo liner on holiday in Spain last year and I've been obsessed with it ever since. Previously, I used the Supercat liner by Soap & Glory and got increasingly frustrated by it's off-black shade, but thankfully the tattoo liner is the blackest liquid liner I've ever tried and leaves a slightly glossy finish (if you're looking for a totally matte liquid liner, I'd thoroughly recommend the Schwing liner by The Balm). The pen is super easy to use and although it is quite expensive compared to drugstore liners, the pen is still going strong and I've been using it almost every day since I purchased it back in July. 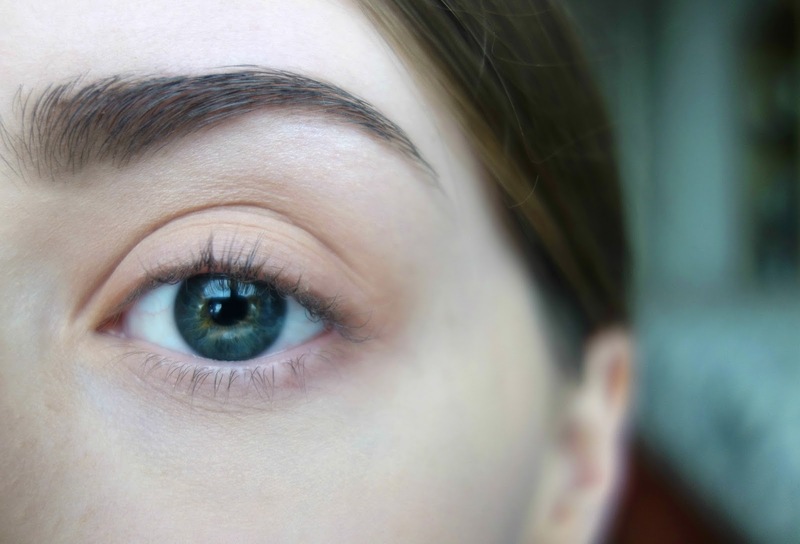 To make winger liner a little less daunting, I start by lining my upper lash line, then I'll find the point where I want my liner to end and start to connect this dot to the line at the end of my eyelid. For a guide, I try to make the wing point to the end of my eyebrow. I don't like to use kohl eyeliner on my water line, I find it is too harsh for an everyday look. Instead, I apply some black eyeshadow underneath my waterline to help define my eyes a bit more. I've used this poor Maybelline The Nudes palette to death over the past year. 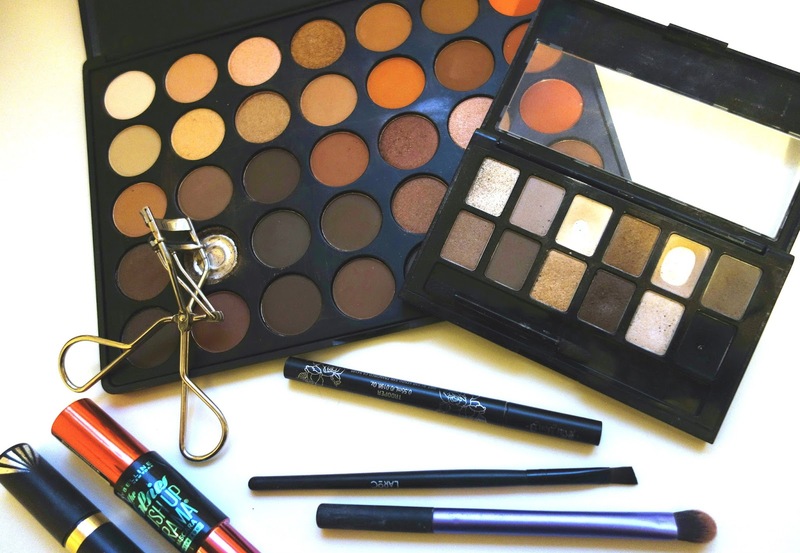 It's the perfect neutral eyeshadow palette for travelling and everyday use. 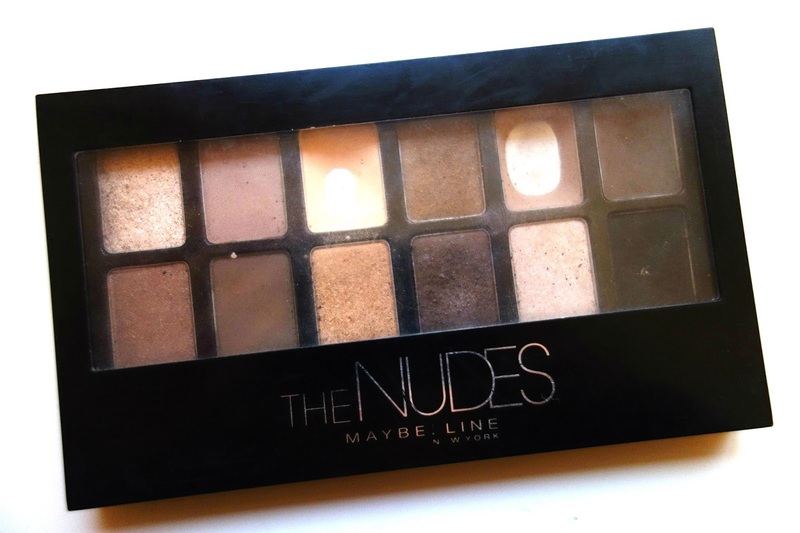 It has a really pigmented black shade, which I think should be fundamental in every eyeshadow palette nowadays. I used the Lorac angled shadow brush to pat on the black shade underneath my water line. I find this is a lot less harsh than using a black kohl pencil on my waterline, but still helps to add more definition to my eyes. To finish off the makeup look, I curled my lashes and applied mascara. I'm an advocate for Maybelline mascaras and after being a repeated buyer of their lash sensational mascara, I found I love The Falsies Push Up Drama mascara equally as much. I find the consistency of the Push Up Drama mascara is thicker, so only one coat is required for a dramatic lash look compared to the lash sensational. My lashes are naturally super straight, so after curling them with a hairdryer-heated eyelash curler, I hold the curl in place by using a waterproof mascara. 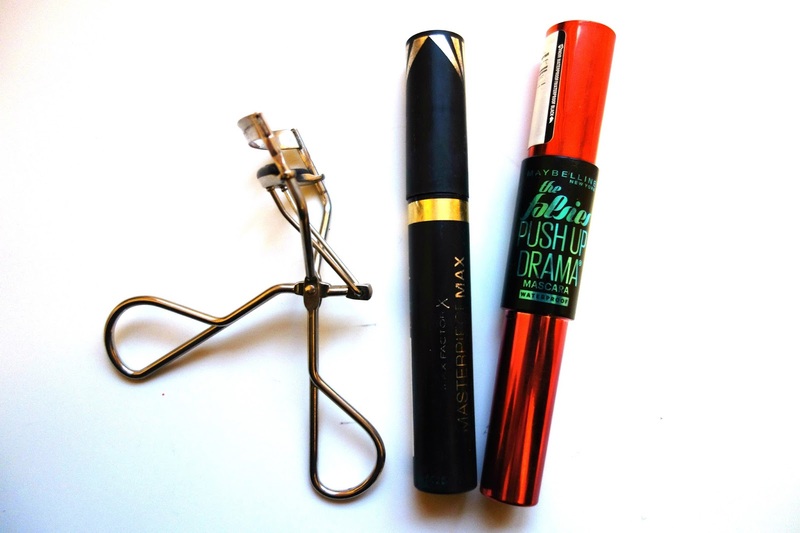 I apply my usual Max Factor Masterpiece Max mascara to my bottom lashes as it makes the makeup removing process a lot easier at the end of the day only having to remove waterproof mascara from just my top eyelashes. Here is the finished look. 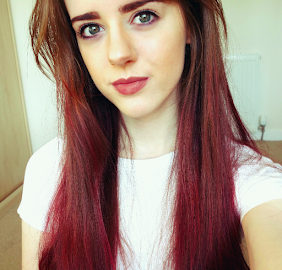 I tend to pair red eyes with a neutral lip shade to minimise any potential colour clashes. 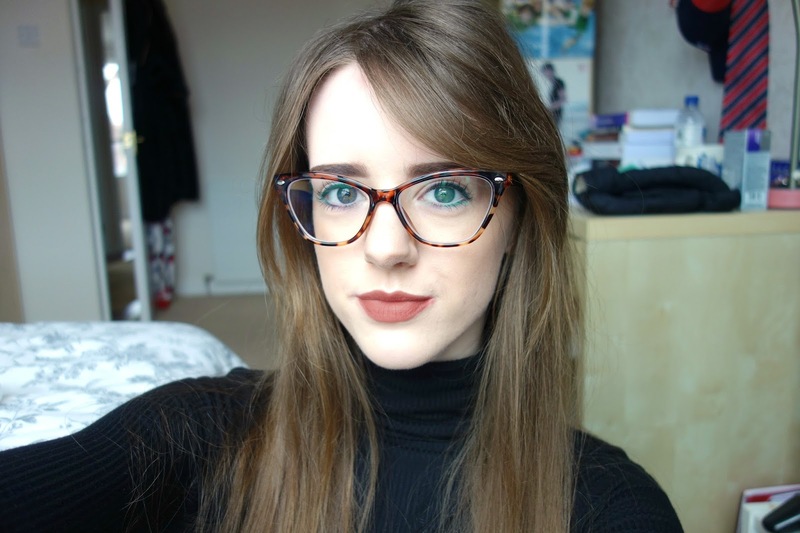 I've been loving wearing this makeup look during the winter, definitely something different compared to my usual smoky browns and neutrals. What makeup looks are you interested to try? 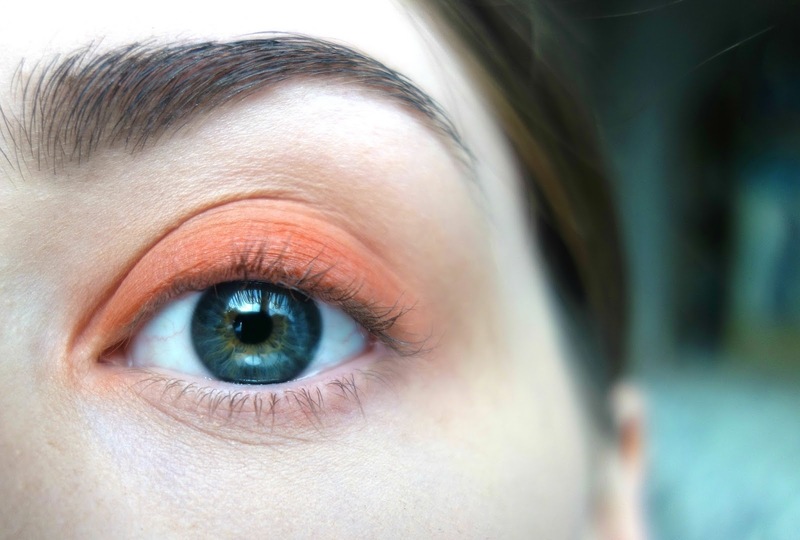 Would you ever wear any bright and daring colours on your eyes? 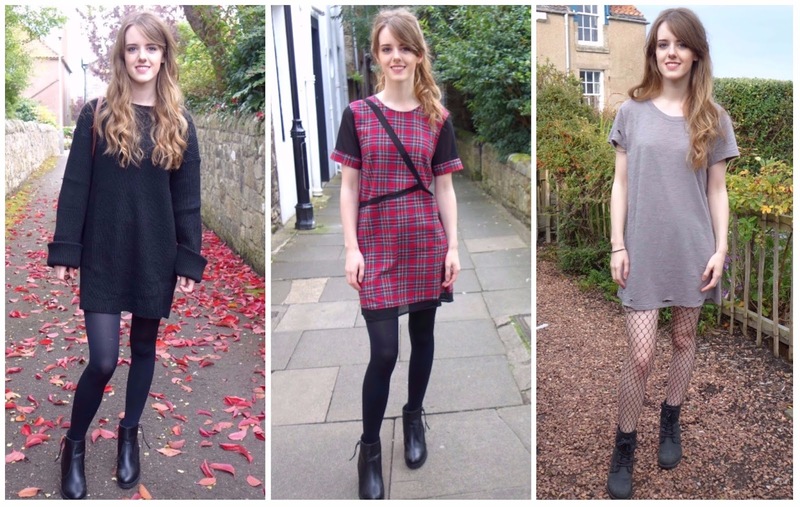 2016/17 was a year of big birthdays for my family: I turned 21 in September, my Mum turned 50 in December and my Sister was 18 at the start of this month. To celebrate, we went to Kraków from the 14th to the 17th of October together. We try to go on holiday together once a year, previously we enjoyed a week in London during the summer months, but the last time we went abroad (besides visits to Belgium) was a trip to Paris well over 6/7 years ago. 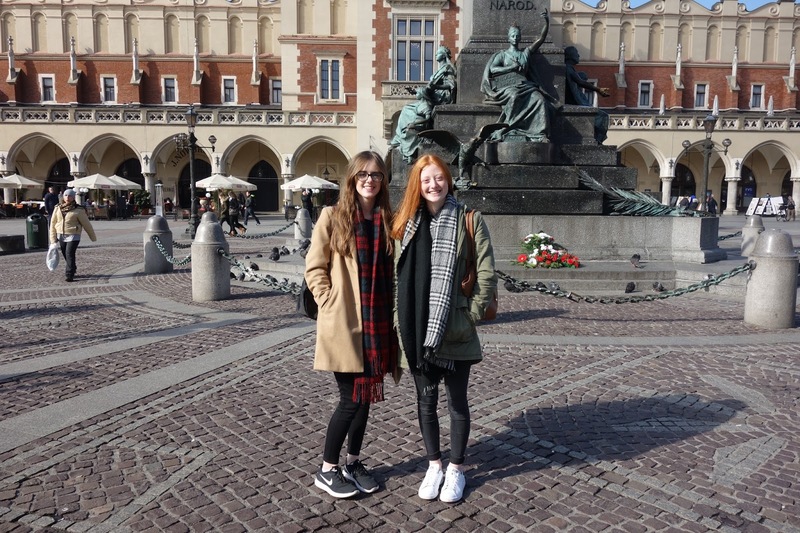 On the morning of the 14th of October, we jumped on a 6am flight from Edinburgh to Kraków. The journey took us a little over 2.5 hours. There's rarely a flight I'm awake for the whole journey, so I slept like a baby the whole way through after 4 hours sleep the night before. The journey from the airport to Kraków Główny (city centre) was really straight forward. We took a 20 minute train and arrived in Kraków just before 11am. 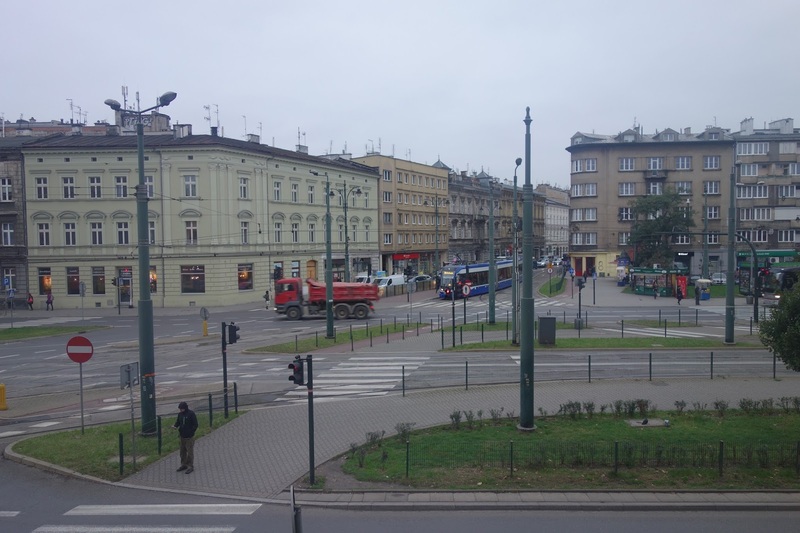 We stayed in the Globus Aparthotel, just a 20 minute walk from the station and 15 minute walk from the city centre. The room was really nice and the staff were very accommodating and made us feel very welcome as we arrived in Kraków. 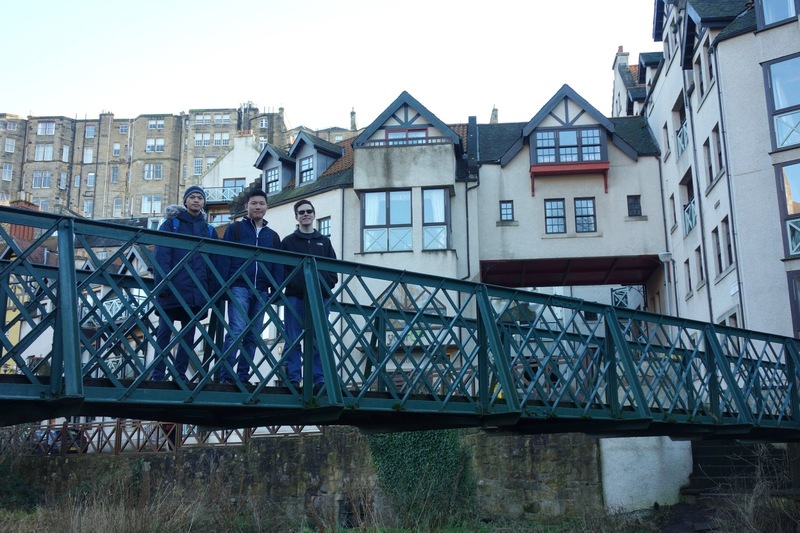 After dropping off our bags at the hotel, we ventured out into the city centre for a look around. Kraków is home to one of the largest medieval town squares in Europe. Situated in the centre is the Cloth Hall, which now occupies the city's main market. 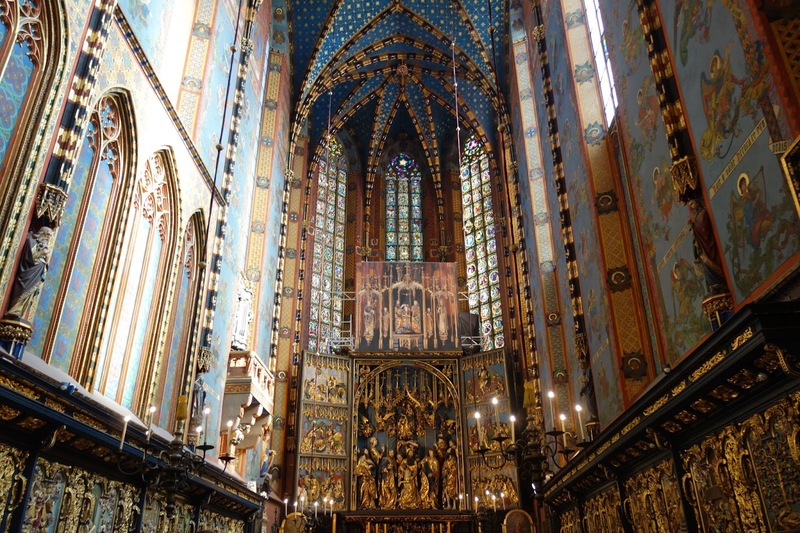 More information on Kraków's cloth hall can be found HERE. The majority of the main square is covered in bars, restaurants and tourist shops. 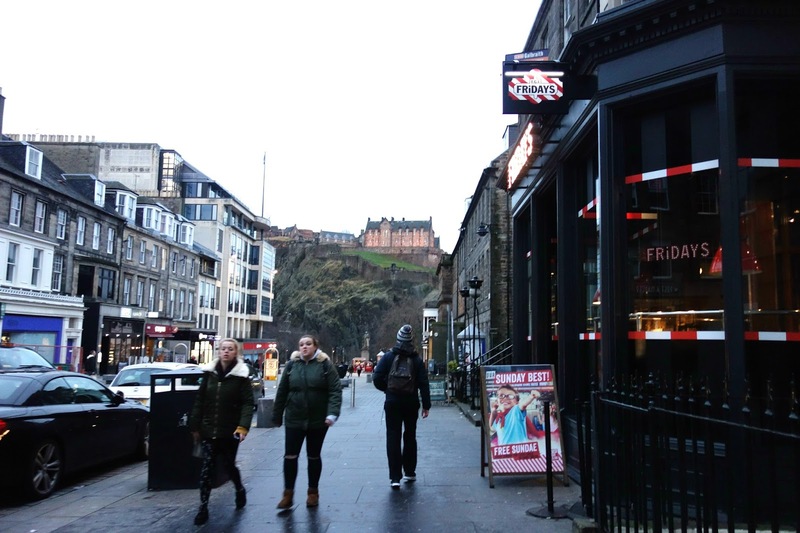 Like most cities, this area consists of the most expensive places to eat and shop, so we opted to explore outwith this area when looking for food. We went to a cafe not far from the main square for brunch. I had pancakes, syrup and raspberries (which were to die for!) and was basically all I was craving for my whole stay in Kraków. I didn't really know what to expect when visiting Poland. After only visiting Hungary in Eastern Europe, I thought I would find some comparisons with Poland. Of course, I can't characterise a whole country on two cities I visited in two Eastern European countries, but I'd definitely categorise Poland as being more Western European, architecture-wise and way of living, than Hungary. Poland was extremely cheap. 1 zloty was around 20p. For example, the train ticket from the airport to the main station in Kraków was 8 zloty.. so around £1.60! In the restaurants we ate in, our bill never came to anything above 200 zloty (£40), alcohol included. On the other side of the main square is St Mary's Basilica. Both the Basilica and cloth hall are really iconic in photographs of Kraków and they are both stunning buildings. There are many Gothic altarpieces inside the basilica and is a very pleasant church to visit. Every hour, trumpets play at the top of the tallest tower to commemorate an ancient trumpeter of the city. 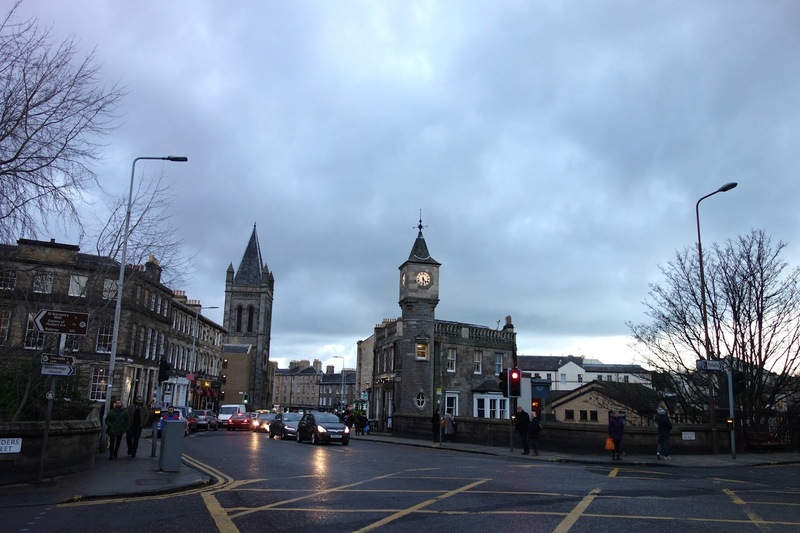 More information on St Mary's Basilica can be found HERE. Behind the cloth hall is the Kraków town hall. 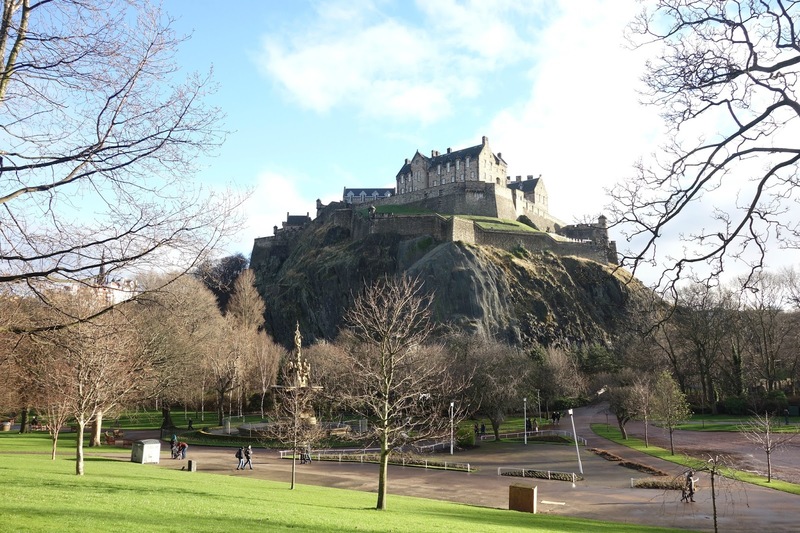 It is unknown why the building leans slightly to one side, but tourists can still climb to the top of the tower to receive a pretty spectacular view of the city. 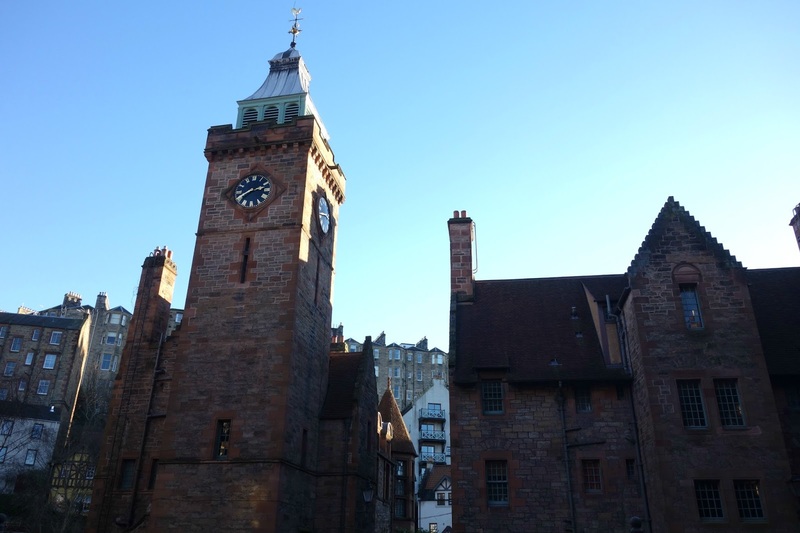 Its cellars were previously used as torture chambers and a dungeon. 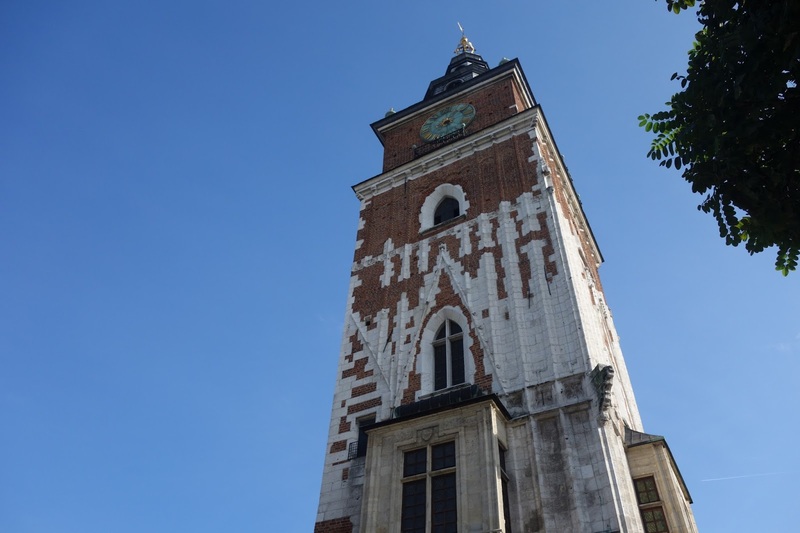 More information on Kraków's town hall can be found HERE. 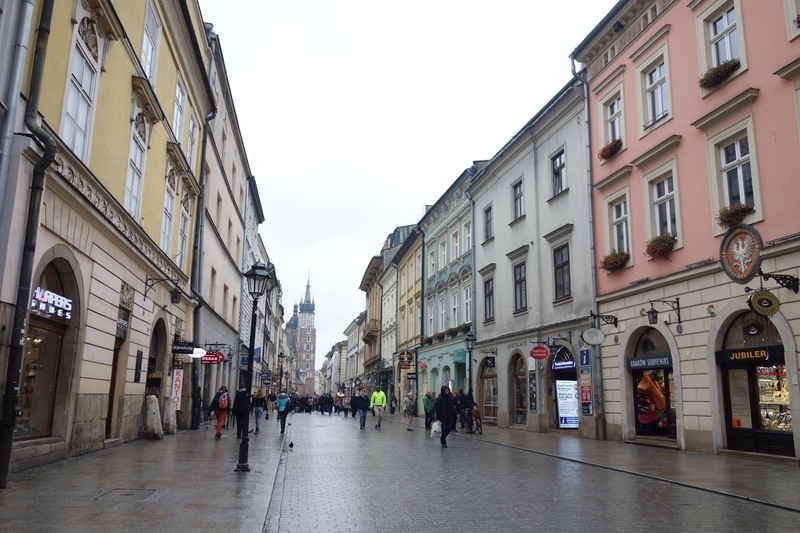 That afternoon, we went back to the hotel to check in and had another wander through the streets of Kraków, stopping at cafes and restaurants on the way. 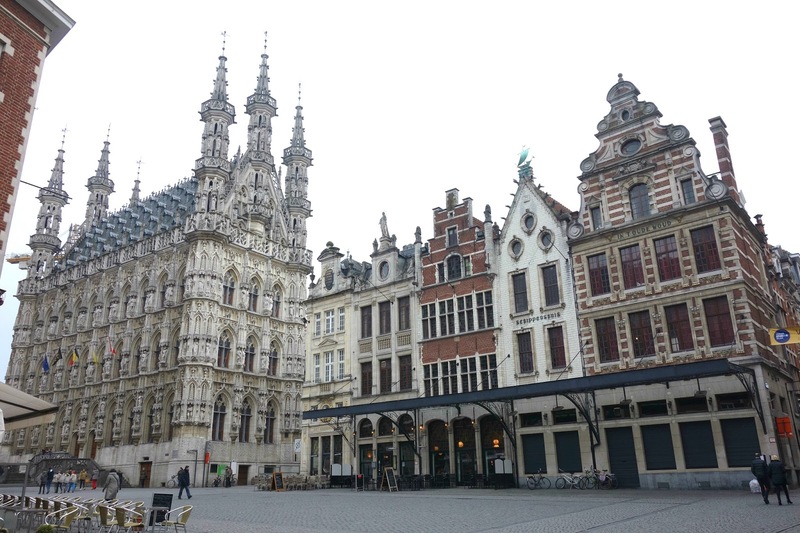 The size of Kraków is really comparable to Leuven, the town I spent my Erasmus year in 2015/16. Everywhere was within a 15-30 minute walking distance, which was really convenient as we didn't have to always rely on public transport, like with other city destinations. Prior to going to Kraków, we booked a tour of both Auschwitz and the Wieliczka Salt Mines through a company called Kraków Discovery. It was €62 each for the transfer to Auschwitz, to Auschwitz Birkenau, to the Salt mines and back to our hotel. 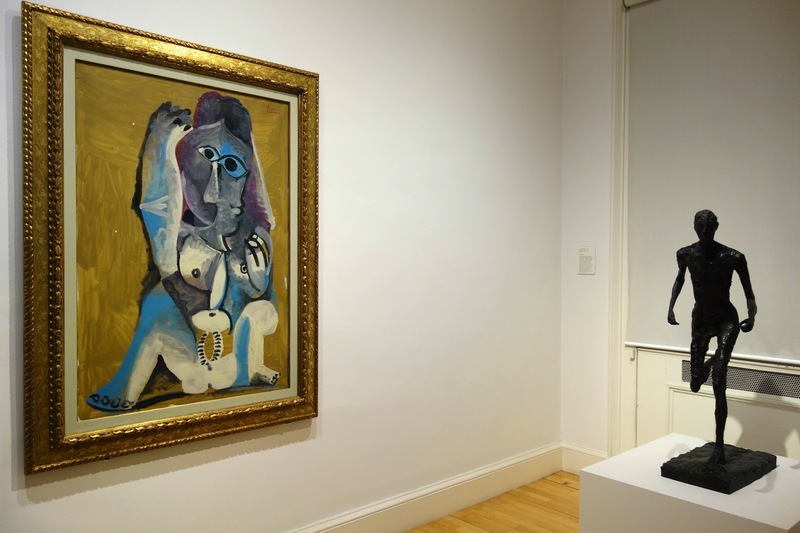 The price also included admission fees and a tour guide in both Auschwitz and the Salt mines. We shared a taxi with a Scottish couple and another couple from London. Our driver, Slawek, was really friendly and was always at hand to answer any questions we had during our trip. 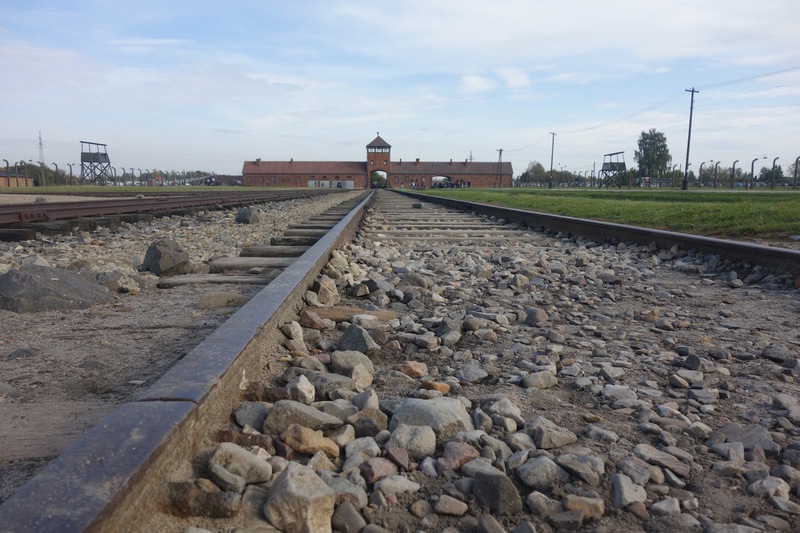 I researched the trip before booking and some people had advised to do Auschwitz and the Salt mines on two separate occasions instead of both in one day. Defying advice, we were picked up at 8:30am and returned to our hotel at 7:30pm that evening. Although it was a really tiresome day, both physically and emotionally, if you are capable of a day trip with few breaks, I don't see any reason to not visit both places in one day. We arrived at Auschwitz I at 10am and waited 10-15 minutes for our time slot with the tour guide. We were given ear pieces in order to hear the tour guide more clearly, as the museum was occupied with several other touring groups at the same time. Initially, we walked through the 'Arbeit Macht Frei' (work sets you free) gates into the main concentration camp. Auschwitz I was initially used as army barracks, then as a detention centre for political prisoners, but soon emerged into a site where Jews and Nazi defiers were executed. I'm finding it extremely difficult to put into words how the atmosphere was in Auschwitz I. Everything was just completely still. My Mum commented on how there were no birds flying over the buildings. The area was really eerie and lifeless. When listening to the nature of the dreadful activities that took place in the camp, it was hard to comprehend they even took place. 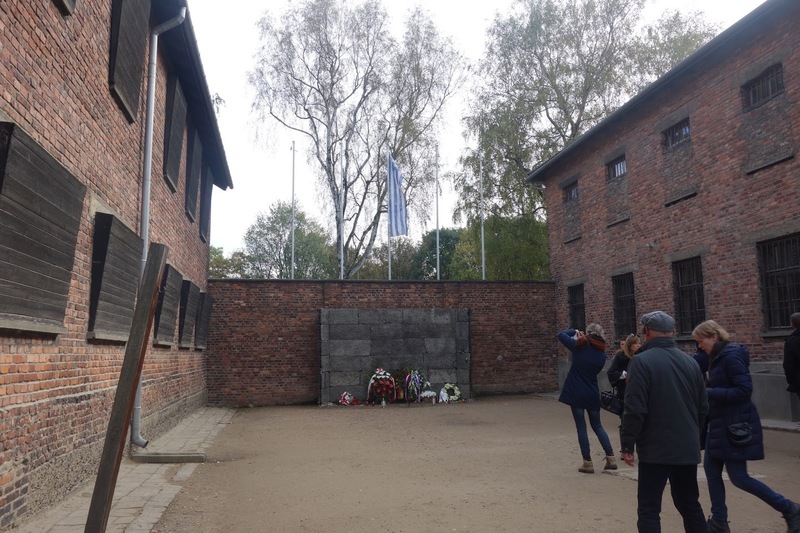 It's hard to imagine executions of such a large scale to individuals from varying backgrounds which are common and peaceful in today's society; a large majority of Jewish people were present in Auschwitz, however, there were also a substantial amount of non-Jewish people present, who are often forgotten. The inside of some of the barracks were converted into museums, one barrack contained photos of prisoners with their shaven heads and uniform, alongside the date to which they lived until. Other barracks displayed the living conditions of the prisoners, rows of straw stuffed mattresses covered the floors with a small toilet pan in the corner of the room. What really struck me most was the exhibition of prisoners' belongings, which they had to give to the guards when arriving at Auschwitz. Prisoners would essentially be robbed of their belongings as soon as they arrived. Further into this barrack was a display of prisoners' glasses and clothing that had been stripped off before they were placed into uniform. Finally, we arrived at a room which displayed the prisoners' hair, which had been shaved off at their arrival. 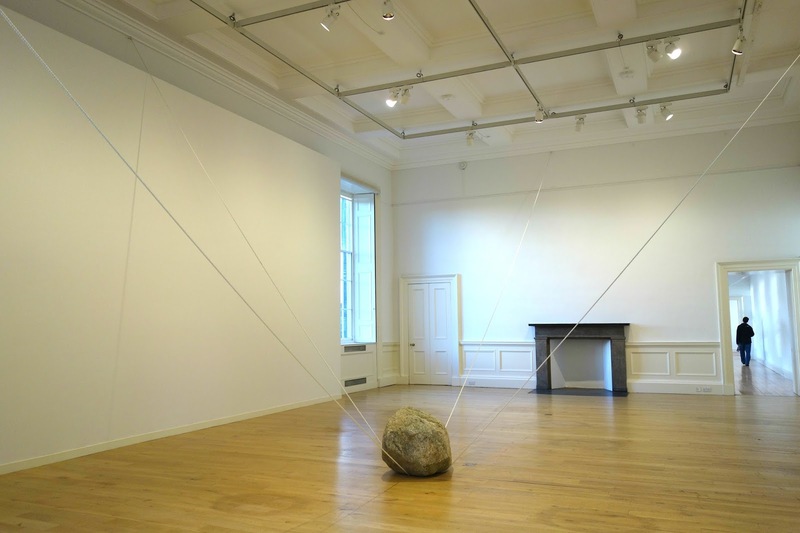 Everyone was silent when they entered this room. Further and further into the tour, the events of the past started to feel more real and the atmosphere became more and more melancholy. 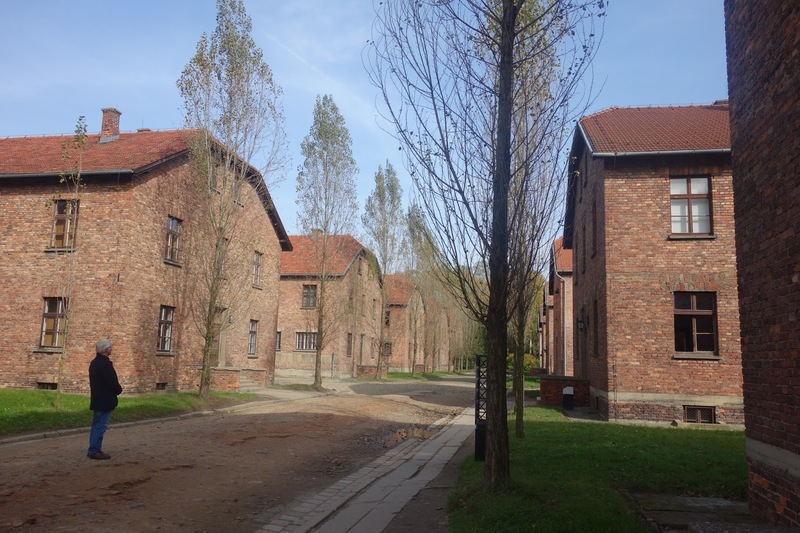 The main camp prison was situated in block 11 of Auschwitz I. The underground cellars consisted of dark cells and torture chambers, where prisoners were rarely seen to leave alive. 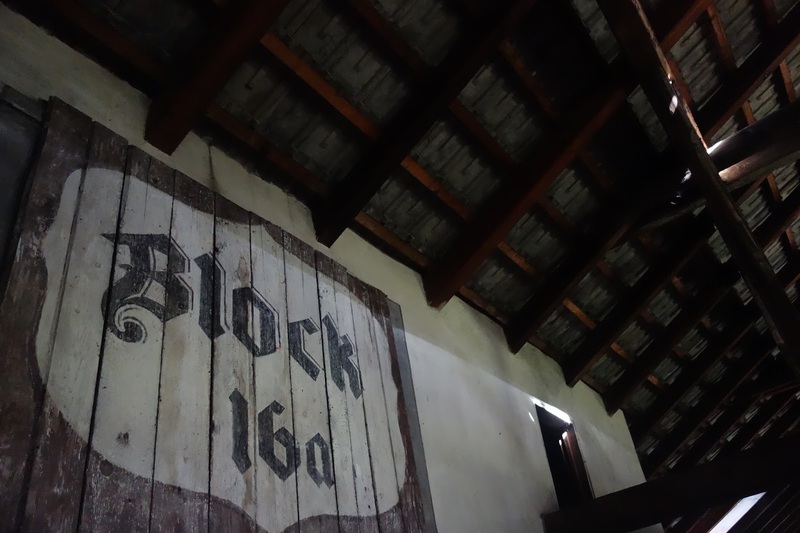 If the prisoners were to ever leave the block, they would be lined up in front of the 'death wall' in the courtyard of block 11, where they would be subject to a firing squad. This wall was reconstructed and placed in the same place as before, where members of the public lay flowers to commemorate those who died. As the Nazis began to lose the second world war, they started to eradicate gas chambers in both concentration camps. 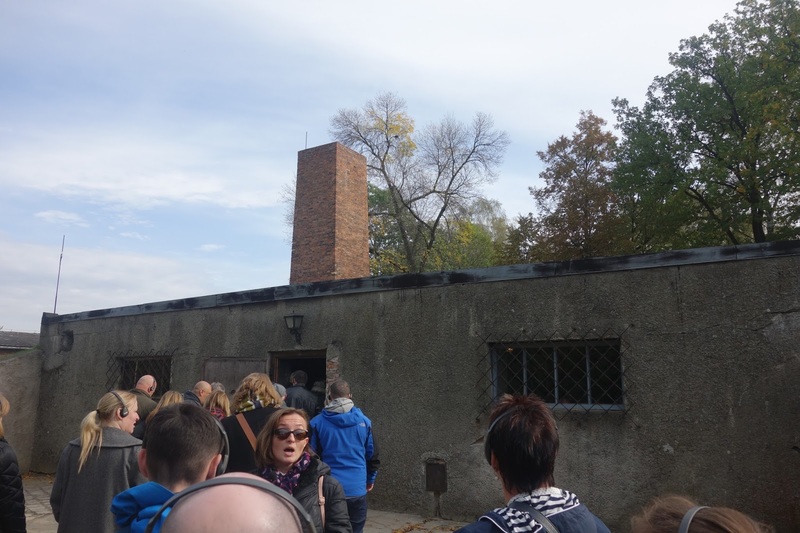 The gas chamber in Auschwitz I was destroyed, but a replica was made to act as a memorial. Entering the gas chamber made everything seem so real and unfortunately this is the room that is most vivid in my mind today. The room inside was pitch black; walls, ceiling, everything. The museum reconstructed the 'shower heads' where the soldiers would stand on top of the building and disperse Zyklon B crystals into the chambers. This was the last building we visited before driving to Auschwitz-Birkenau, a 10 minute drive from Auschwitz I. 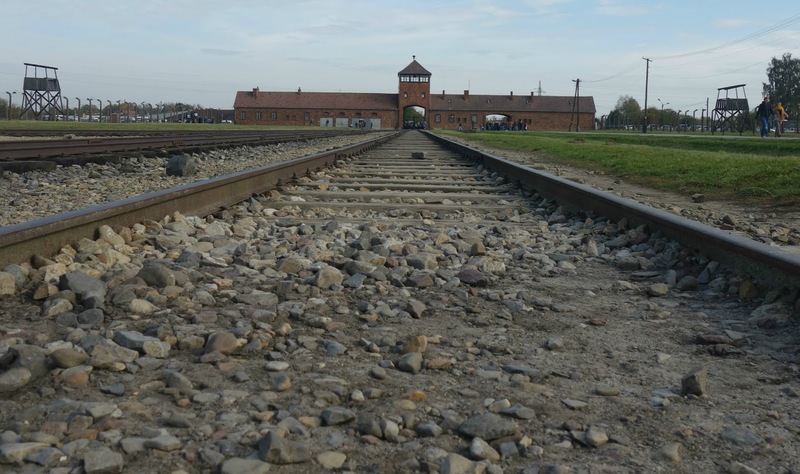 During the beginning of the second world war, orders for the expansion of Auschwitz were conducted, leading to the creation of Auschwitz II (Birkenau). Arriving at Auscwitz-Birkenau is a heart-dropping moment, seeing the infamous watchtower from a distance. From various reconstructions from movies and documentaries, it's almost impossible to fathom a train of prisoners transport through the gate and into the camp. 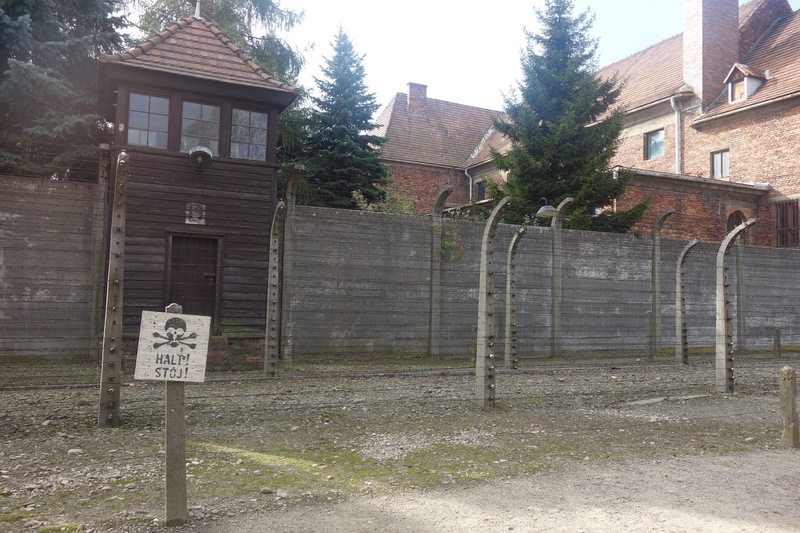 The land which occupied the camp is significantly bigger and over 10 times the size of Auschwitz I. Although Auschwitz-Birkenau is bigger, the majority of its grounds have not been converted into a Museum, like Auschwitz I. Our tour consisted of a walk down the train track and into a couple of the barracks. 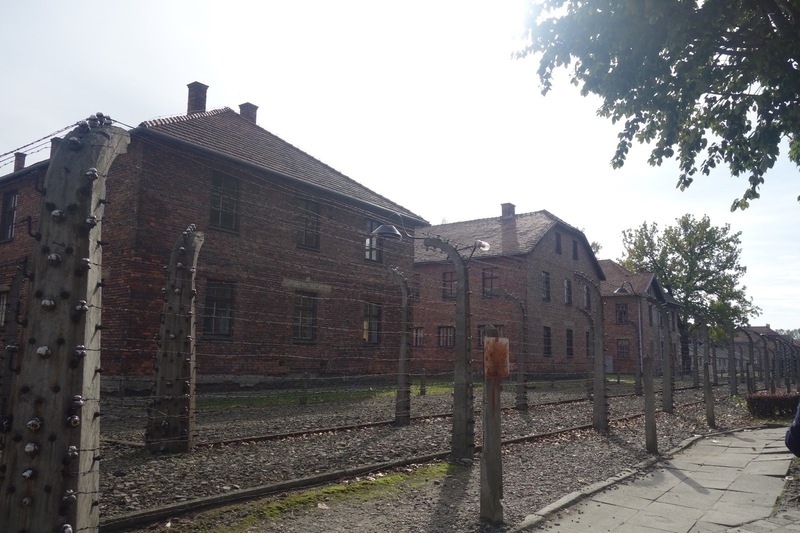 Although the living conditions in Auschwitz I were already horrific, conditions in Auschwitz-Birkenau seemed significantly worse. The barracks consisted of 'bunks' where prisoners were made to sleep, often in freezing temperatures and packed tightly amongst sick acquaintances. As mentioned previously, evidence of the gas chambers were destroyed towards the end of the war. 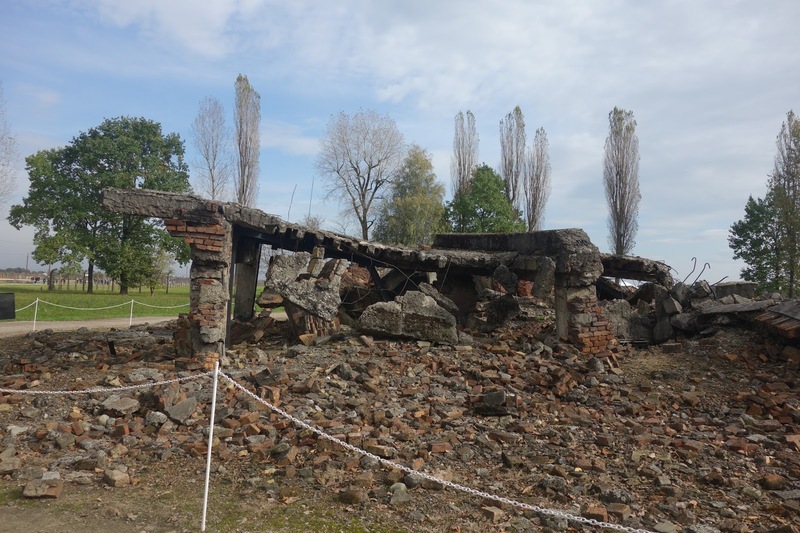 In Auschwitz-Birkenau, the remains of one gas chamber can be seen. 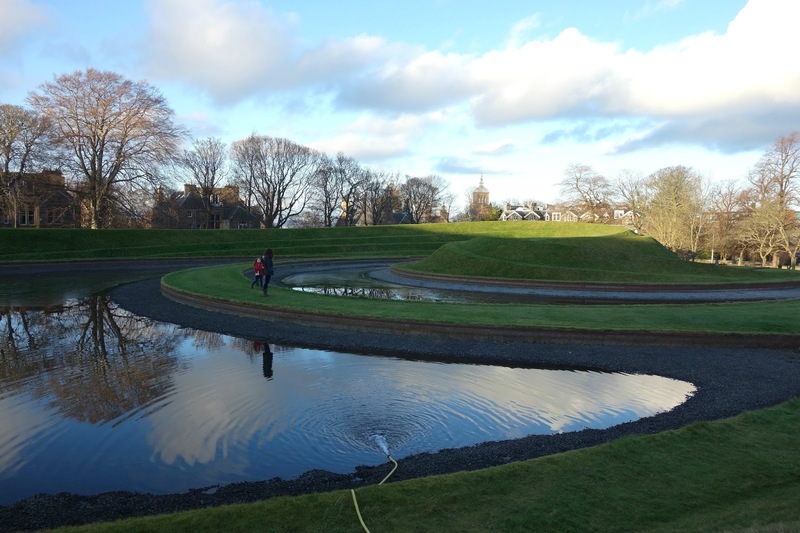 After walking around the grounds for under an hour, the tour came to end. 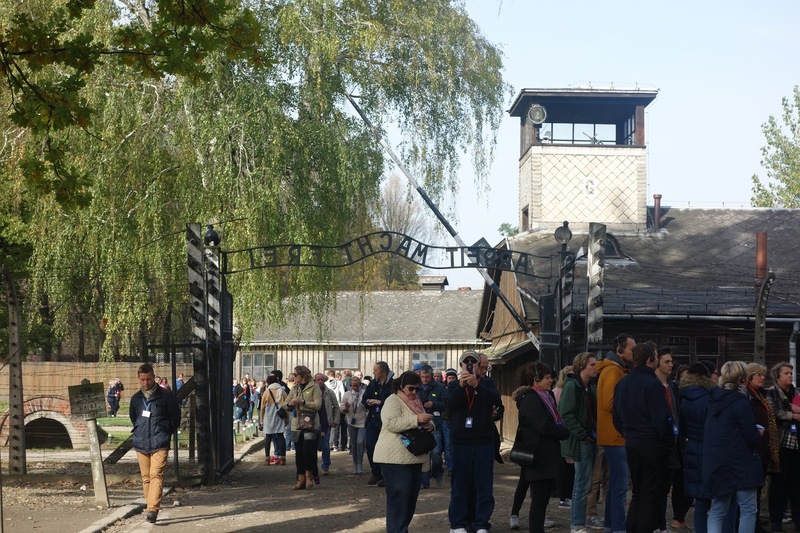 The main bulk of the tour took place in Auschwitz I, but after witnessing and hearing of the terrible circumstances and activities that took place in the concentration camps, I guess the remainder of the tour did not need any further explanation. Despite prisoners being subject to degrading treatment in the concentration camps, there was a recurring theme of hope present in the camps. Hope to escape, to survive and hope that one day the Nazis would lose their overwhelming power. 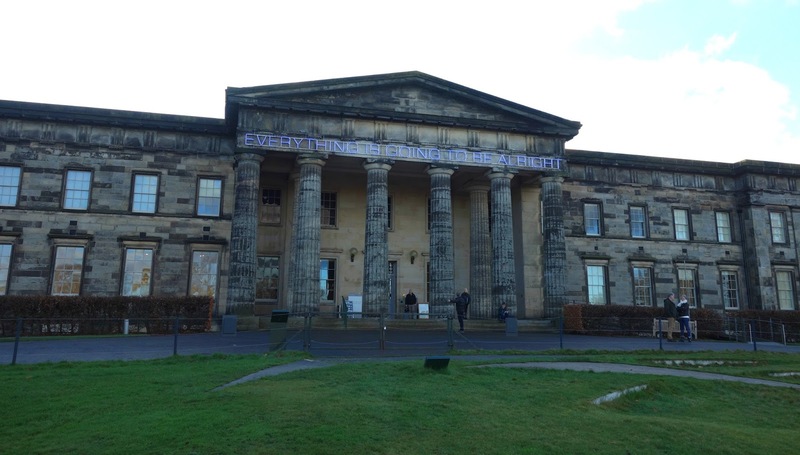 Stories of the ways in which prisoners helped each other to make sure they didn't die from starvation, or extreme weather conditions, were really heart warming, making any minor difficulty of the 21st century seem completely minuscule. Some would ask why I would visit Auschwitz. 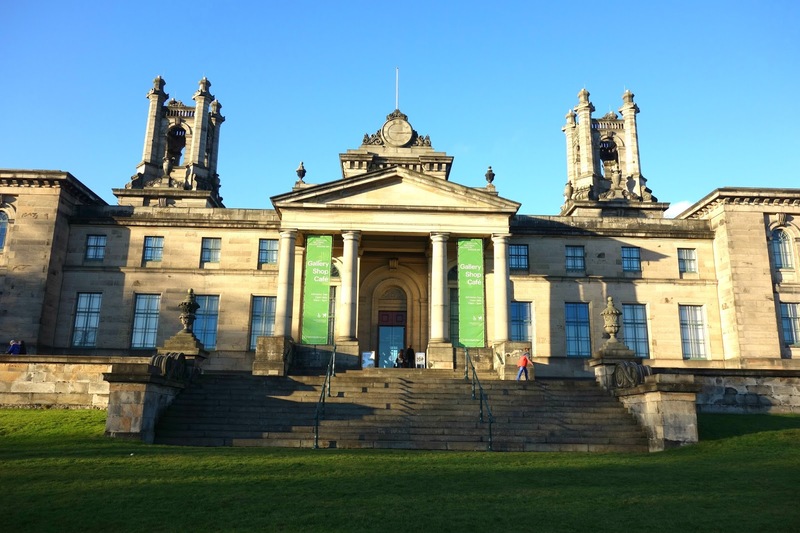 I really believe in order to connect to the history, you have to visit such places, although gruesome as they are, in order to connect to them on a personal level. They stand as a reminder of what our world once was and how we must refrain from delving into such atrocious tragedies again. For more information on the Auschwitz concentration camps, click HERE. 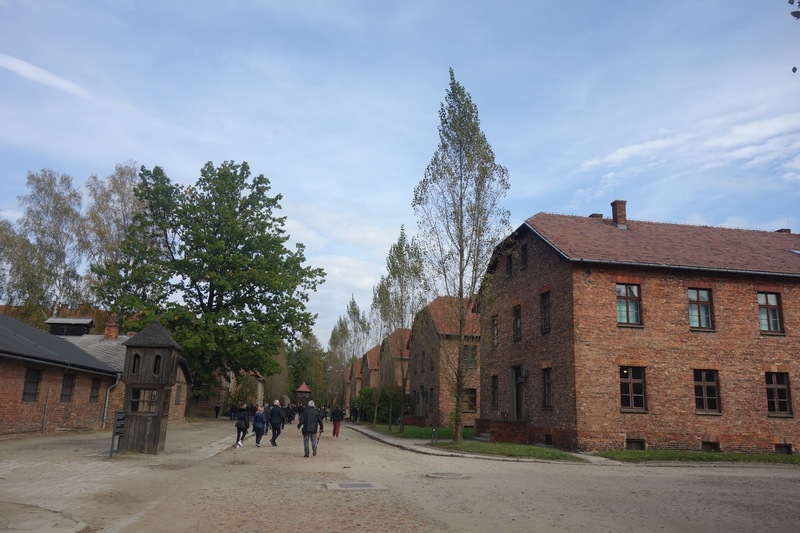 Information on visiting Auschwitz can be found HERE. Slawek drove us to the Wieliczka Salt Mine, towards the South-East of Kraków, which took about 1 hour. The salt mines are registered on the UNESCO world heritage list after being in operation for over 900 years and were considered the largest industrial establishment when salt trade was equivalent to today's oil trade. After entering the salt mines, we began to walk down 380 stairs to the first level of the tour. The tour guide gave us an insight into its original purpose and guided us through the reconstructed spaces where some are now used as a chapel, for example. Some of the salt sculptures in the mines were spectacular. The carvings in the photo above were in the main cathedral hall of the mines, where even the chandeliers were made out of salt pieces. 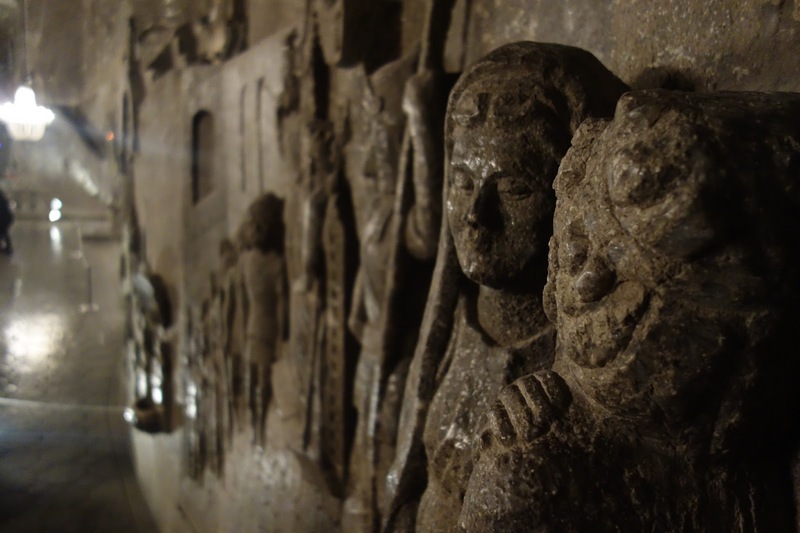 At the beginning of the tour, the tour guide recommended giving the walls a lick.. although we refused to at first, by the end of the tour we were licking pretty much every sculpture in the corridors! There is a constant 15C temperature in the salt mines, so it was definitely a relief to walk around without a jacket on compared to outside - Kraków was absolutely freezing at the time we visited. 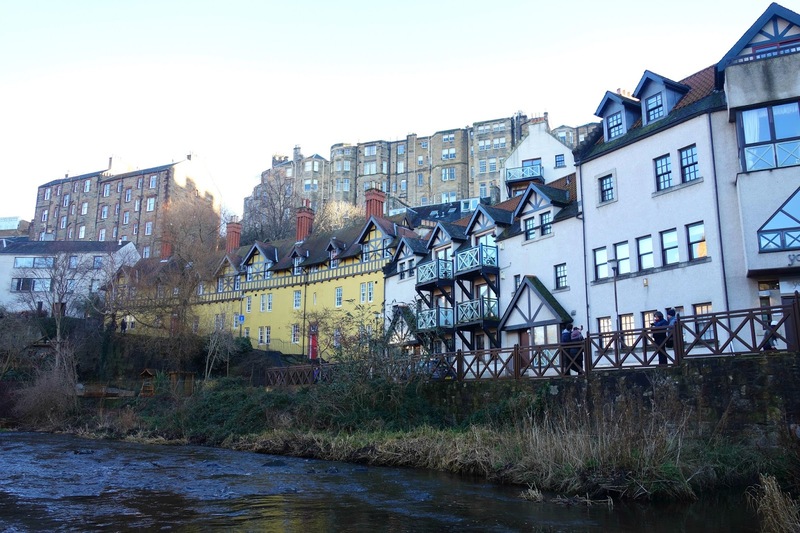 The temperature there in October was comparable to Edinburgh's winter now in January. I can't imagine what the temperature is like in Kraków right now! After a three hour walking tour of the mines, we were given some free time to visit the museum shop, where we bought some bath salts (salt from the Wieliczka mines, of course)! Thankfully, we didn't have to walk up the stairs to the ground floor and got the lift from the bottom of the mines to the top. Slawek drove us back to the city centre, where we had dinner and went back to our hotel room after a long and tiresome day. 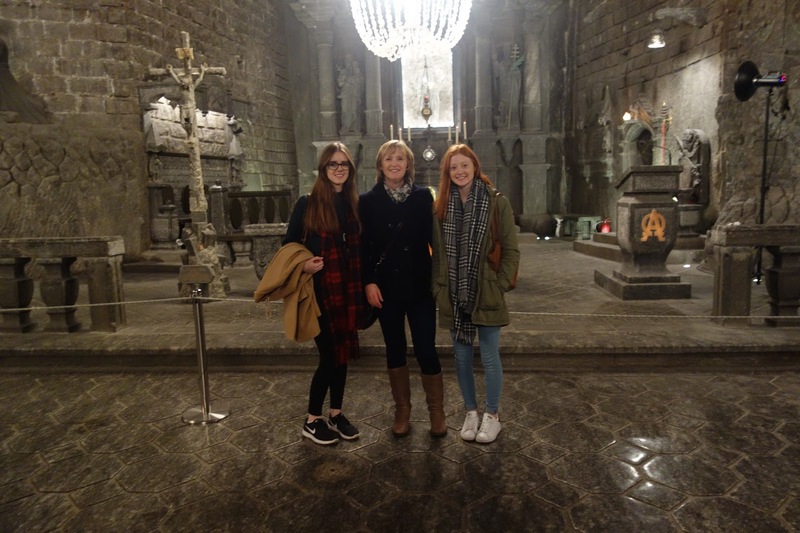 We really enjoyed visiting the Wiliczka salt mines because of its pure and natural beauty. It was really interesting to see how such a space has been renovated to adapt to today's way of life. 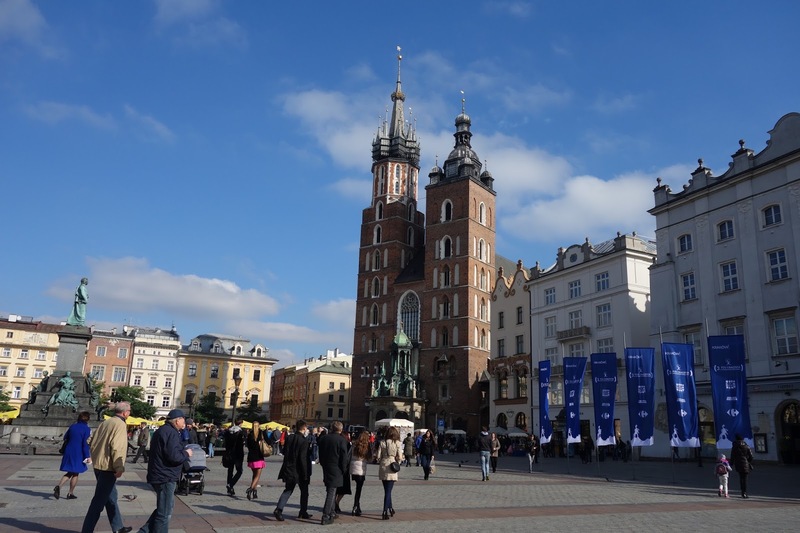 Finally, I'd thoroughly recommend booking any excursion in Kraków through Kraków Discovery, their organisation and friendliness made our trip a lot more stress-free and enjoyable. 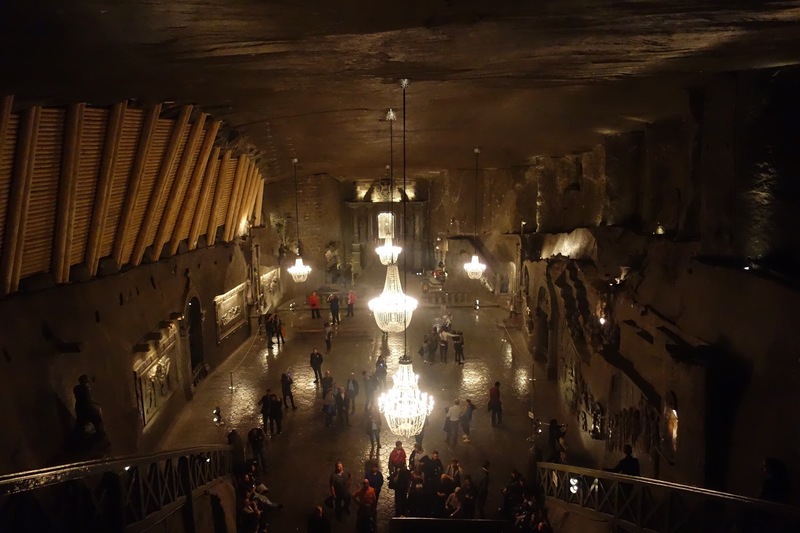 For more information on the Wieliczka Salt Mines click HERE. 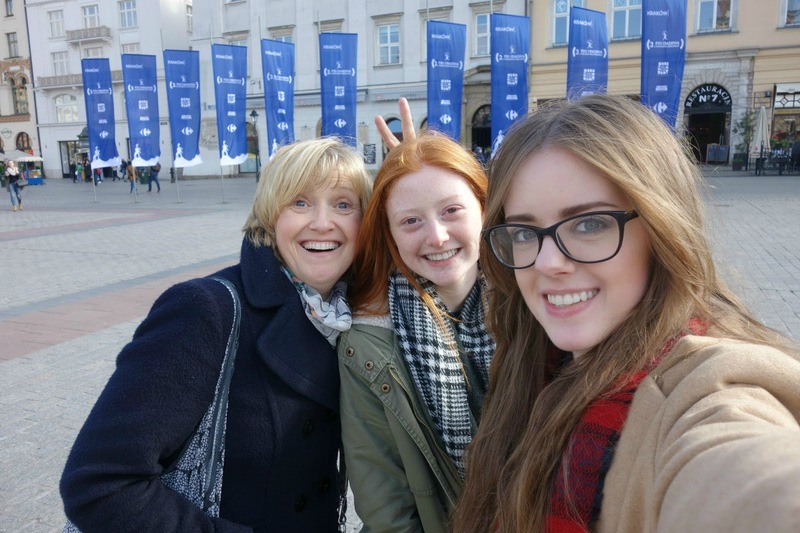 On our last full day in Kraków, we had the option of going to visit the Wawel Castle or to the Jewish Quarter where we would visit Schindler's Factory. It was raining that morning, so we decided to head to the Jewish quarter instead of outside and around the castle grounds. We thought the museum in the Jewish Quarter would be about Oskar Schindler's story, but it was a museum of Kraków under Nazi occupation IN the remains of Schindler's factory. Although there was a short video showing Schindler's employees expressing their gratitude for his assistance, the remainder of the museum was about Kraków during the second world war. The trip was educational nonetheless and it was interesting to watch Schindler's List afterwards and become familiar with the scenery in the movie. 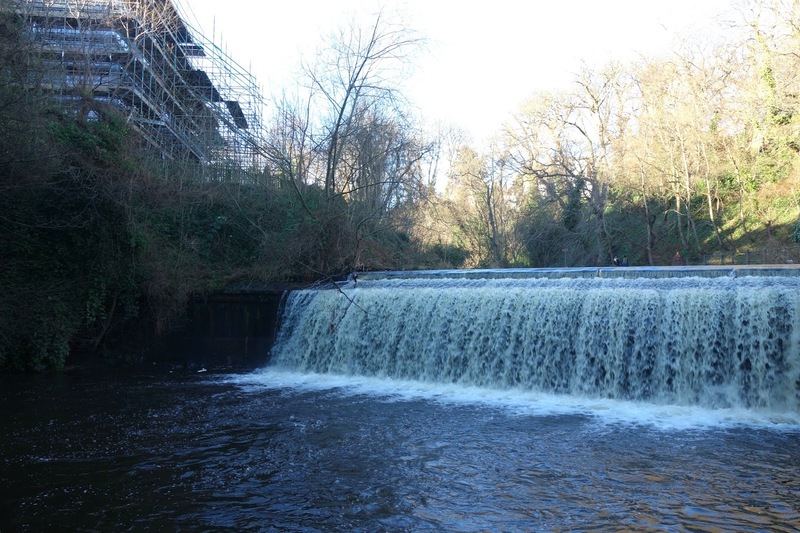 More information on Schindler's Factory can be found HERE. 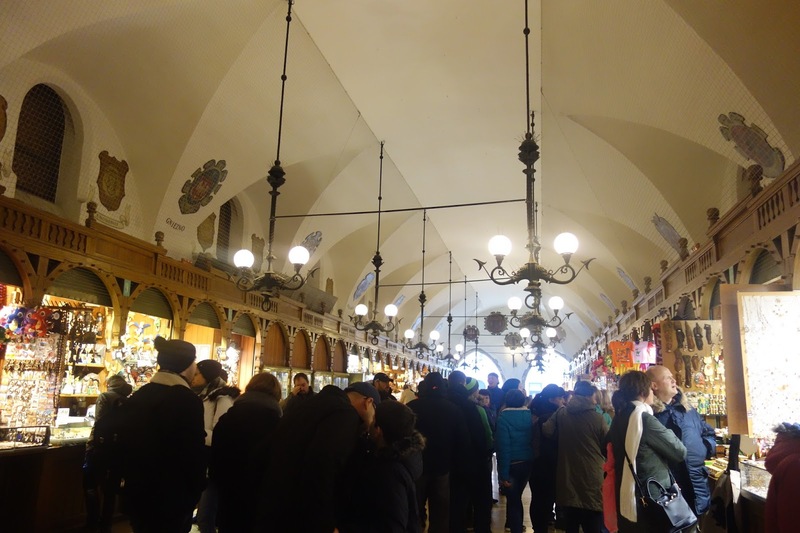 That afternoon, we browsed the market in the Cloth Hall in Kraków's main square. It consisted of local sellers selling everything from tourist magnets, to ornaments, jewellery and clothes. 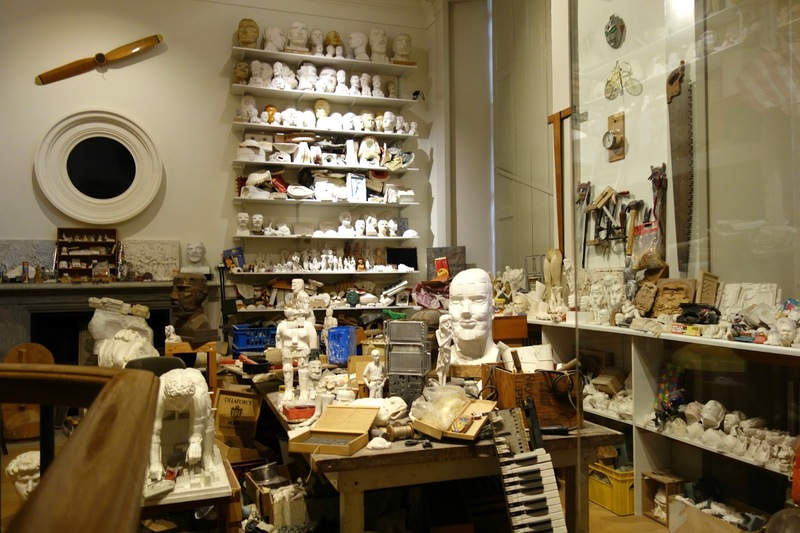 After browsing the stalls and buying a few souvenirs, we decided to visit the Rynek Underground Museum, situated directly underneath the Cloth Hall. We weren't really sure what to expect, but we didn't enjoy the museum so much. 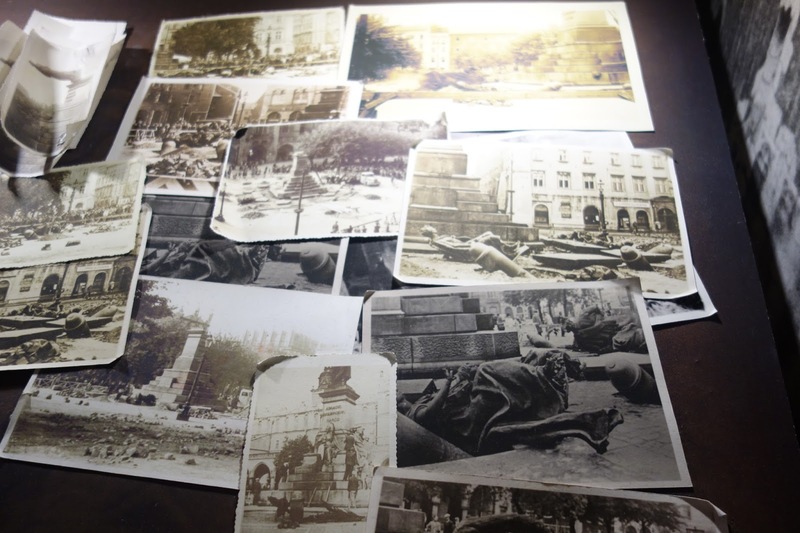 It focused on the evolution of Kraków's main square, and although I found some of its history really interesting, the museum would appeal to people with more of an archaeological background. 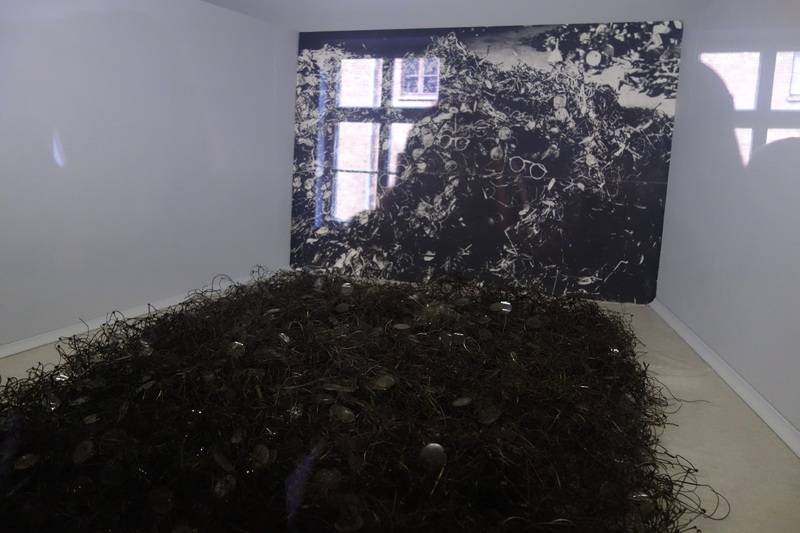 More information on the Rynek Underground Museum can be found HERE. For the remainder of the afternoon, we walked to Galeria Krakowska shopping centre next to Kraków Główny station, where I was excitedly reunited with Bershka and Pull & Bear. We enjoyed our final meal in Kraków washed down with Somersby Apple Beer... (unfortunately, Somersby 'beer' is only a Polish thing!) 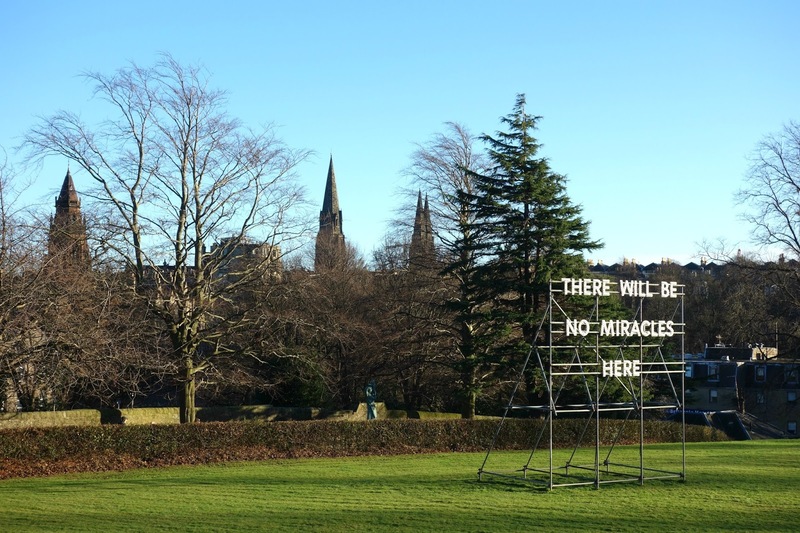 before heading back to Edinburgh early morning on Monday. Do you have any European city recommendations? Where would you like to travel next?